Discussion in 'Look Around: Sergio Mendes/Brazilian Music Forum' started by Intuitive Samba, Jul 1, 2017. How many of you forum visitors are pro musicians? I'm not a "pro" musician, but I studied some music theory years ago, took piano lessons, taught myself trumpet, and sing in a community choral group. with a Samba-Jazz -style arrangement (particularly the rhythm section). Title track from Steely Dan's "Aja" (with more energy than the original ; in fact, Steve Gadd has indeed done Samba beats, in other places). I am thinking, the tempo of "Mas Que Nada" or the opening track of Bossa Rio (1969). "Alive and Well and Living In" by Ian Anderson, which appeared on Jethro Tull's Benefit album. (Ian's brilliant "Living in the Past" already has lot of Jazzy Samba elements, too.) The parallel octave male+female vocal (texture/arrangement style) would work great. "From the Beginning" Greg Lake (R.I.P.) appeared on E.L.P. 's Trilogy is pretty much tailor-made for a Samba-Jazz. In fact, no need to change notes. Keith Emerson's synth solo could be played (note-for-note, in fact) by flute. It's modal Jazz ('A' dorian mode). Lani's cool vocal tone/sound double-tracked would be perfect. Sergio could have continued his 1960s style and sound and approach with contemporary hits from the early 1970s. Imagine that! "Martha" by Paul Kantner, appeared on Jefferson Airplane's After Bathing at Baxter's. It has a Samba beat that just needs to be brought out (to the fore-front, and emphasized). Interestingly, the very first drummer of the Airplane (before Skip Spance) was a straight crew-cut marine who didn't fit the band and he played Samba/Latin rhythms on the drums (back in 1965). But Spencer Dreyden was a bit of a (West-coast) Jazz player, himself. The verse of "Martha" is 'A' dorian mode, as well. "Oh Well" by Peter Green (Fleetwood Mac). That could be a given a Samba lilt and be less laden Rock-Blues in style/approach. Lani's voice could be cool, and alluring. "South Side of the Sky" by Yes (Fragile). The middle would be challenging with unusual metres (rhythmic patterns). David Crosby, with his Jazz influences would have been good for that. I would have loved to hear a Brasil '66 version of "The Sea Is My Soil." Sergio recorded it on his "Favorite Things" album for Atlantic Records and Herb Alpert's instrumental is dynamite so a Lani Hall lead would have been fantastic. 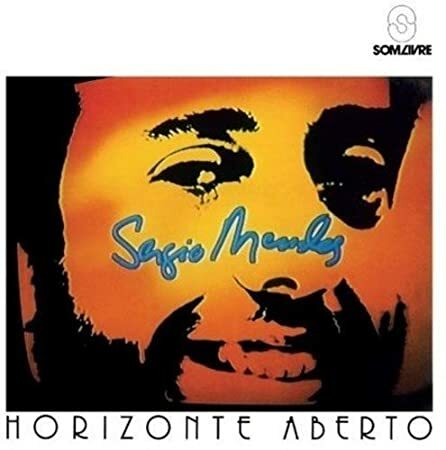 Sergio revisited "The Sea Is My Soil" (as "O Mar É Meu Chão") on his HORIZONTE ABERTO album, also released as ALEGRIA. The first Brasil '66 album featured (as one of its singles) a cover of "Day Tripper" which was the Beatles' latest hit (when that album (Brasil '66) was being put together, and material arranged and rehearsed). Another song from Rubber Soul was "The Word" (by John Lennon (mostly?)). but those snare hits can be off-set by 8th notes to create hemiola Brasilian/Latin-esque syncopations -- in other words, the typical drum beat on 1960s Samba-Pop-Jazz records (of, particularly Brasil '66!). I think the vocals on "The Word" could work well with the female + male blend of Brasil '66 -- particularly the first line-up with Jose Soares. Even the bass-line, in particular, works well for Samba/Latin Pop/Jazz -- going from root to fifth (which, I know, is hardly unique or unusual for any particular style of music). I can hear this groove in my head being done by Sergio's band. Another song from the Rubber Soul album could have been: "Drive My Car." Imagine a Brasilian beat added to that! Sergio chose the song "Day Tripper" as his band's first Beatle cover. That was the Beatles' most recent hit single, when the first B'66 album was made. My hunch is that was chosen for purely commercial reasons, in attempt to break big in the U.S. (and world) market. I surmise that Herb Alpert (and Jerry Moss?) , and maybe even Lou Adler had a lot of influence over that kind of song choice/selection by Sergio. I also further venture to guess that Sergio's heart was really only on the Brasilian songs, and maybe a few American Jazz standards and classics (like "Night and Day"?). But maybe Sergio genuinely liked and saw compositional value in some Beatle songs, anyway. The classic Sade songbook, especially this. I think he knew a good song when he found one. He has said in interviews that he always has enjoyed "creative freedom" during his career. So while it's certainly possible that the "higher ups" at A&M may have suggested songs (especially Herb Alpert, since he coproduced those Brasil '66 albums), I think Sergio picked tunes he felt he could add something to -- most of his covers are strikingly different from the original recordings. I do remember in the BBC Herb Alpert interviews, Herb said that when Sergio was playing "Mais Que Nada" in concert, it was played much faster than the ultimate recording was. Herb encouraged Sergio to slow it down and the result, of course, was a huge hit. I have a feeling he likes both equally. Even on his earliest recordings pre-A&M, he would cover standards that he liked. On Dance Moderno, he covers a pop standard like "Love For Sale," and also does a nice turn on Horace Silver's "Nica's Dream." It is nice that he is flexible enough to take on pop standards (like the Beatles covers he did with Brasil '66, and some of the pop/soul covers he did in the 70s), yet could still let loose on Brazilian projects like the Grammy-winning Brasileiro and the earlier Primal Roots. Fool On The Hill touched on those two worlds--the pop hits are the recognizable tunes from the album (the title track and especially "Scarborough Fair"), yet he's also doing more of the pure Brazilian sound on "Lapinha" and "Casa Forte." And there was also his mashup with hip-hop. That is part of his enduring success, I think--he follows whatever he feels good with at the moment, and runs with it. Even with the hip-hop phase, he was genuinely having fun with it. More power to him! I would liked to have heard Lani and Karen singing "The Sea Is My Soil" which Herb Alpert recorded on "Warm" and Sergio recorded on "Favorite Things." Shorty Rogers could have been a guest arranger as his arrangement for the song on "Warm" is fantastic! Mike and Rudy's perspective is probably correct, when I think about what they wrote. Your guess is probably better than mine. Sergio really did want American success and fame, of course. He was happy to take on any song that would help him achieve that. An American lead singer was a crucial element. Lucky for him, he found that young lady in that small Chicago club back in 1965. I do, however, think that it is fitting that the song that Sergio had the most impact with -- and still, to this day, is most-associated with and remembered for is: "Mas Que Nada." That really is a great song, and it was only known in Brasil (right? ), until the 1966 version set the world on fire! In fact, to this day, I think a lot of casual fans are under the impression (or at least guess) that Sergio actually wrote that song! To open up the Crystal Illusions album, Sergio could have (instead) arranged a B'66 rendition of "Mrs. Robinson" by (Paul) Simon and Garfunkel, as the big 1968 hit, rather than Otis Redding's "(Sittin' On) The Dock of the Bay." It's too bad, what Michael Hagerty has been saying about the practice of major-label recording artists covering other major hit-making artists' hit songs -- amidst the changing trends of the late-'60s U.S. music industry. "Undun" by the Guess Who (Randy Bachman). Another interesting choice could have been "Living in the Past" by Jethro Tull (Ian Anderson). But, that record already had so many of the elements of a Brasil '66 (Sergio) arrangement and production, including orchestration. The only key difference would/could have been the lead vocalist -- Lani, of course (with possible Male backing vocal(s), as well). Even Martin Barre's electric rhythm guitar sounds like what's on the B'66 arrangements/productions (Joe Pisano?). In fact, that song was first recorded and released in the U.K. in 1969, where it was a hit. Another thing that would have been great would have been to hear Lani singing Pretty World, Like a Lover, Look Who's Mine, Canto Triste and Crystal Illusions with their original Brazillian lyrics. Intuitive Samba and Rudy like this. A lost opportunity for certain. The only vocal version I've heard was Astrud Gilberto's, and it left me less than impressed. Clumsy arrangement (reminiscent of Sergio's Favorite Things version but disjointed and choppy), and English lyrics that had nothing to do with the sea. And her pitch is all over the place on this one. I may have to see if there is a pure Brazilian version of this out there somewhere. Steven J. Gross and Harry like this. "Stormy" by the Classics IV. Did I ever mention "Out of my Book" by Peter Hammill (Van Der Graff Generator) ? That was recorded on that band's 2nd album in late 1969. "Any Way the Wind Blows" was actually the first track that Frank Zappa recorded for a major record label (MGM/Verve) back in March of 1966. It was the most "straight" thing that FZ had for what became his first album (Freak Out!). Listen to this early rehearsal/demo recording by Led Zeppelin of "No Quarter." Most of the music was written by (bass player +) keyboard player John Paul Jones. Bonzo (John Bonham) even does a Samba drum-beat in the verses, which I really like. In many ways, I prefer this style and arrangement (this treatment) of the song to the one that got released on the Houses of the Holy (1973) album. That's probably a cassette tape recording, distance-mic'ed. That was recorded at Headley Grange in Jan or Feb of 1971, which is around the time of the fourth Zeppelin album. JPJ even uses his Hohner ElectraPiano (which he famously used on "Misty Mountain Hop") - as opposed to the Rhodes that he ended up using later. Lani's vocals would be so much better-sounding than Robert's worn-out voice. By 0m43s Bonham's drumming is too Neanderthal plodding and harsh. It needs a tasty 1960s M.P.B. / Samba-Jazz treatment. Maybe omit Jimmy Page's blues-Rock guitar riff. That's based upon the chords of 'd' minor (7?) and 'G' Major. The Samba verses (particularly) (with vocals) reminds me of "Yours is the Light" from Santana's Welcome album (1973). Flora Purim guested in that studio recording, b.t.w. As with other Rock songs that I have mentioned in this thread (see above, particularly - "From the Beginning") -- the guitar solo could be instead played by a flute. Speaking of "Misty Mountain Hop" -- I can hear a Brasil '66 (Sergio Mendes -arranged) rendition of that catchy Poppy tune, done with a Brasilian-styled rhythm section. The guitar riff could be played in octaves on the piano -- left, and right hands, in parallel 8vs.